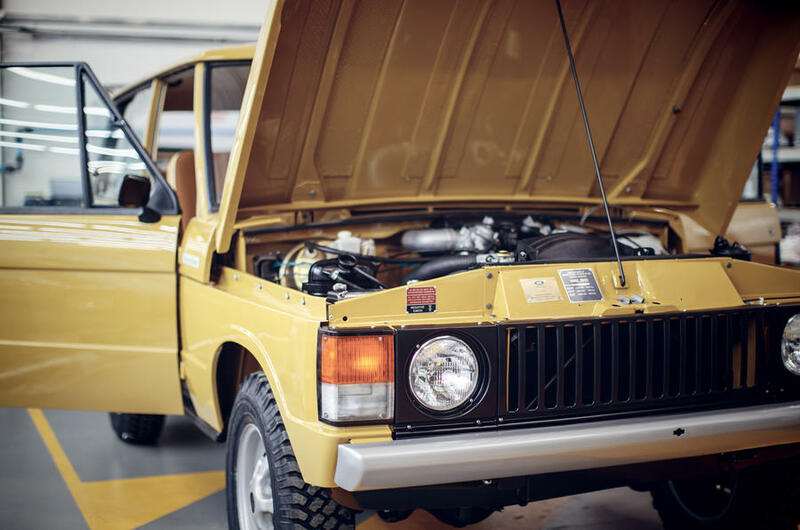 It is important to have your voltage regulator working correctly, especially with electronic ignition because over voltage can shorten the life of many components on a classic car. Our electronic distributors and electronic conversion kits operate between 6 & 16V. A faulty dynamo or voltage regulator/alternator can overcharge putting out voltages between 25 & 30V which is far too much for modern electronic ignition systems and other sensitive electronic components to cope with. Alternators have their voltage regulators inbuilt as a complete unit and a simple voltage test at the battery terminals with the engine running should show between 13.7 and 14.5 v After testing if you do have a faulty dynamo or voltage regulator ask about the new Dynamator range which have original dynamo looks with the practicality and reliability of modern alternator electronics. We can supply both negative and positive earth versions also available with the tachometer drive. HOW DO I KNOW IF THE CUTOUT IS WORKING? Test the point contacts first. Disconnect the battery GROUND cable. Using an multi meter, test reading between terminals A & D (terminals electrically on opposite sides of the points) and you should have nothing as cutout points should be open. Now manually close the points by pushing on them (OK to do with battery disconnected). Good points should read near zero ohms. If not, try making connections closer to the actual points to narrow down where the resistance is. If you do not have a ohm meter connect a test lamp between D and the battery terminal you took the ground strap off. Lamp should not light with points open and should be bright when points are closed. Any excess ohms or dimness in bulb will indicate point corrosion or other problems. Next you need to test the coils. Reconnect battery and start the engine and idle. With volt meter between terminals D & E you should be getting 6-12 volts (lower at a low idle and higher at a high idle). Rev engine up to1500 RPM and you should get 13.2-15 plus volts (depending on state of battery charge (lower if battery is fully charged and higher if battery is low). Do the same test at terminals A & E. A is tied directly to the battery so you should never go below battery voltage. Once dynamo matches battery and points close then reading at A will go up from battery voltage and increase with dynamo output. If this is not the case then there may be a dynamo problem or a regulator problem. HOW DO I KNOW IF THE REGULATOR IS WORKING? Again there are two tests. To test the actual points you need to disconnect the wire leading to the F terminal. Then put an ohm meter between the terminals F & E. You should get near zero ohms with good points. If it is higher try connections as close to the points a possible to narrow down where the resistance is. Now open the points. It should increase to around 60 ohms as a resistor takes over the circuit. To test the coils connect a volt meter between F & E and set the engine at idle. At idle you should be seeing the same voltage as at the D & E terminals (probably 6-12 volts). Increase the speed of the engine and voltage between F & E will rise as the dynamo feeds the battery. Increasing the RPMs further, you will see the voltage peek and then start to decline. At about 2500 RPM you may only be seeing 8 or less volts. What should be occurring is the regulator is regulating the dynamo field windings to prevent it from destroying itself. Dynamo output is related to how much voltage is being fed to the dynamo field windings and how fast it is spinning. Put the same voltage to a slow spinning dynamo and a fast spinning one and you will get much greater output at the faster RPMs. So to keep control, and prevent dynamo burnout, the regulator senses output and drops voltage to save the dynamo at speed. If voltage does not follow the above pattern then the regulator needs adjustment or you have a defective dynamo.